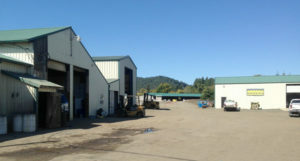 Miller Timber Services, Inc. operates its own full-service shop, employing qualified mechanics with over 40 years of collective experience working on vehicles, trucks, heavy equipment and firefighting equipment. These professional mechanics regularly attend specialized trainings and continuing education seminars to remain current on new technologies and equipment. All regular maintenance and safety checks are performed in our shop, as are most major repairs. Detailed service records are maintained on each vehicle and equipment of all work performed. All of the Company’s vehicles are current models that undergo extensive safety checks. Vehicle maintenance is meticulously performed at prescribed intervals. Each vehicle undergoes an extensive 51 point safety/service check to ensure trouble free performance and reliability. The shop includes a heavy-duty service lift to aid in the repair and service of vehicles. Our service shop performs a vital role in maintaining tools, equipment and vehicles while ensuring that many of our fabrication needs are also met. Company mechanics specialize in custom fabrication of wildland fire engines, tenders and trailers. Most of these responsibilities are performed internally to ensure quality and safety. In the event of mechanical failure, the Company is capable of deploying our mobile service mechanic with full-service maintenance and repair truck. The Company has three field service mechanic shop trucks with two designated mechanics that specialize in repairing heavy equipment. 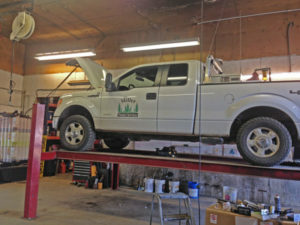 Shop trucks are fully equipped for remote repair and diagnostic analysis. The Company’s mechanics perform their job responsibilities at our base of operations, satellite offices and in remote field locations.